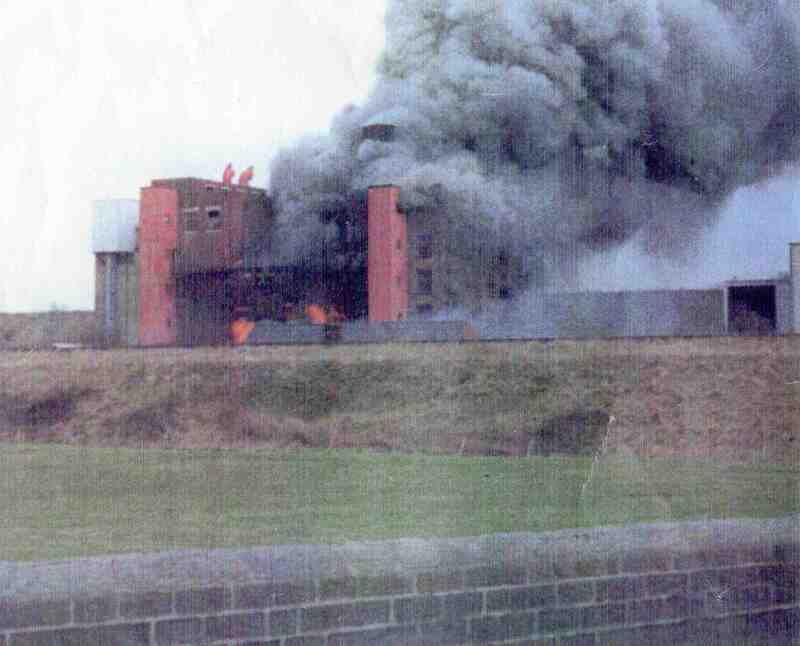 The fire at Glovers Mill on 1 April 1979. Photo courtesy of V. Hopkinson. That was a Sunday afternoon the fire at Page Feeds and there was a large group of people watching it because I remember we passed it in the car. I was aged 7 that year.